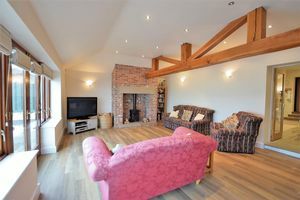 NOT YOUR TYPICAL PROPERTY! 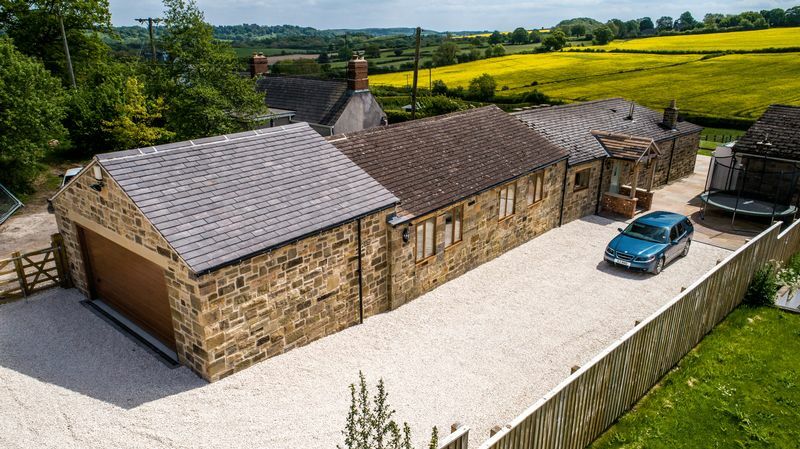 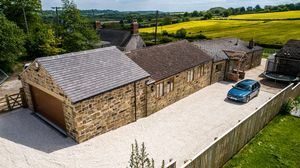 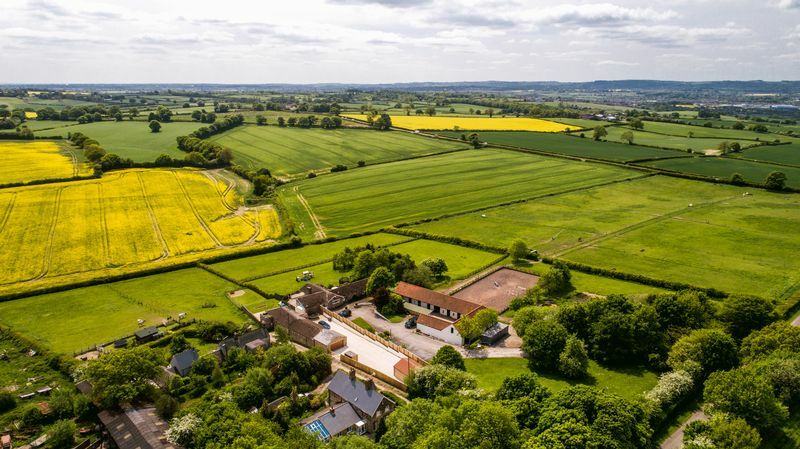 This converted stone built detached residence offers substantial modern living space whist featuring CHARACTER, CHARM and a COUNTRYSIDE SURROUNDING with outstretching open views and yet with ease of access to Chesterfield, the A617 and the M1 Motorway. 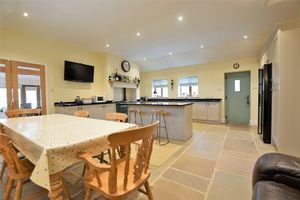 The property boasts four bedrooms with a shower room to the master bedroom, a family bathroom, a FABULOUS open plan kitchen family room, living room soaking in the countryside views, utility room, double garage (which could be converted subject to relevant consents) and an additional detached office work shop space. 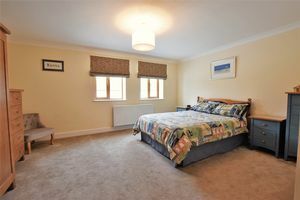 The accommodation has undergone a recent scheme of full refurbishment and extension which is sure to appeal to many. 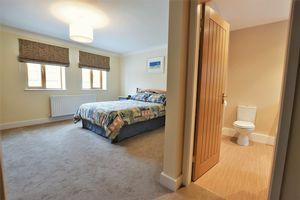 Internally the accommodation is mainly on one level with minor steps between the living and sleeping rooms. 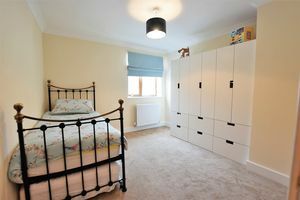 All rooms are generously proportioned with an abundance of built in storage cupboards in many areas. 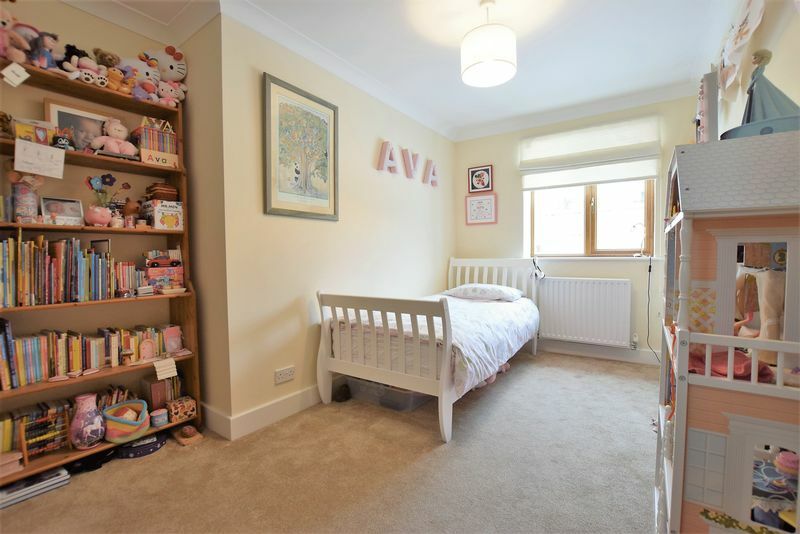 The property is well presented with neutral internal decor. 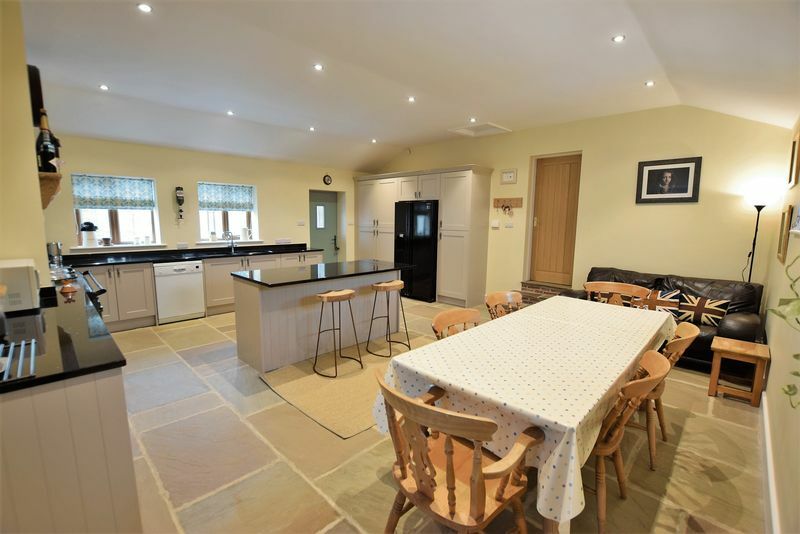 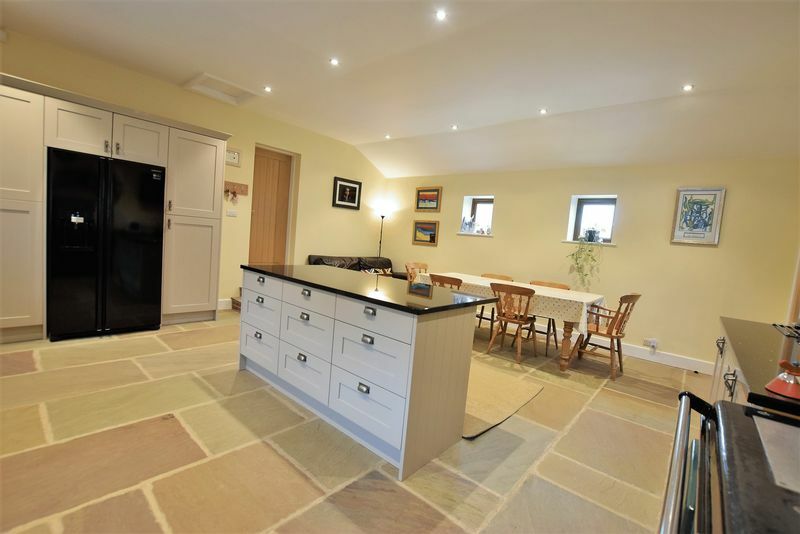 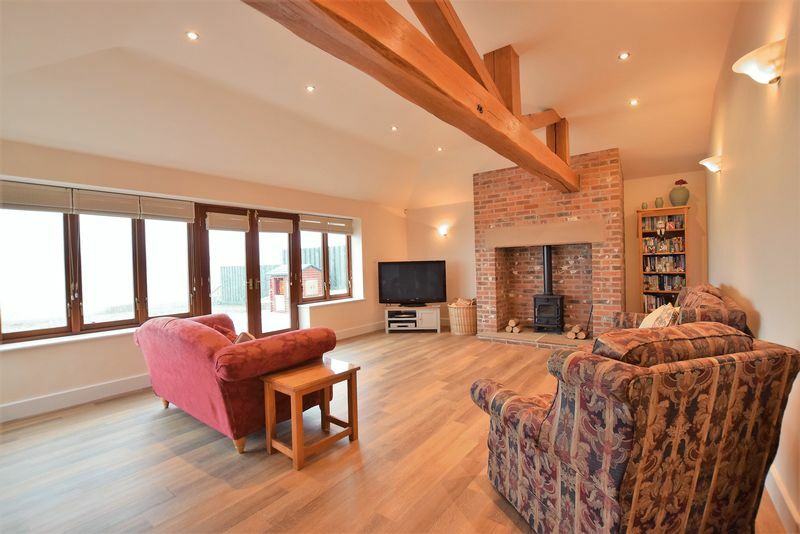 There are oak faced internal doors, exposed beams, an exposed chimney breast with log burning stove which add to the character of this delightful stone built detached residence. 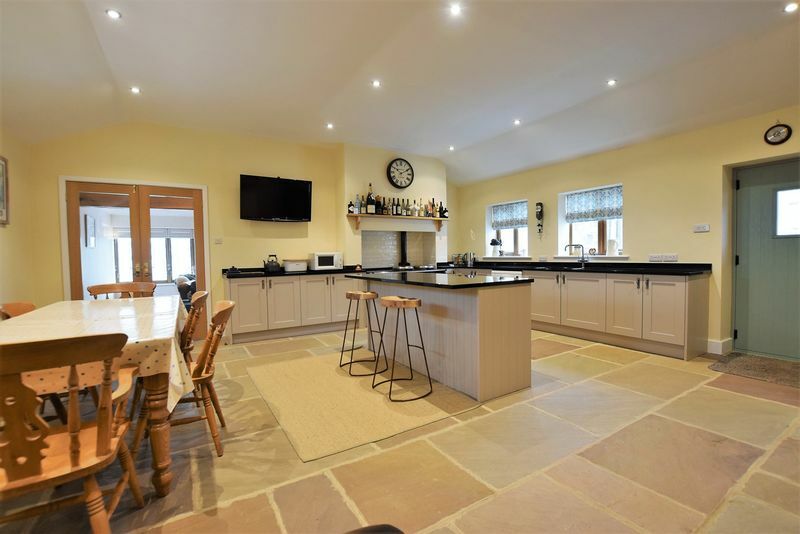 This fabulous open plan living space incorporates a seating, dining kitchen area and has a natural stone floor. 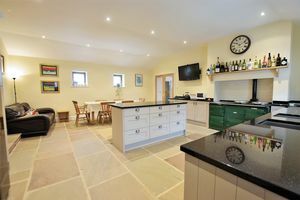 The kitchen area is appointed with a range of base units with a granite worktop space, inset double sink units and Aga oven. 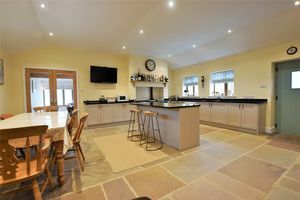 There is an island unit with breakfast bar to one side. 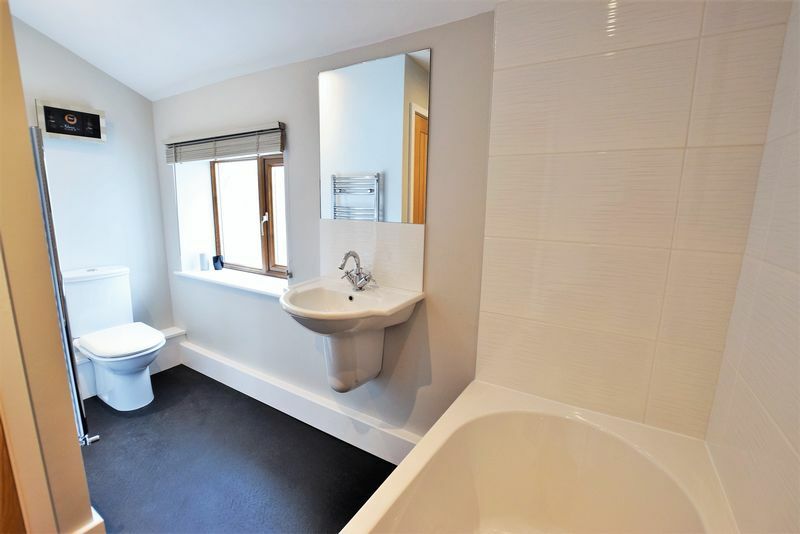 There is a dual aspect with double glazed windows to two sides, a radiator and inset ceiling down lights. 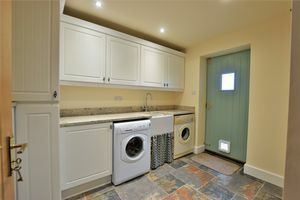 A useful utility room with immediate access to the rear garden too. 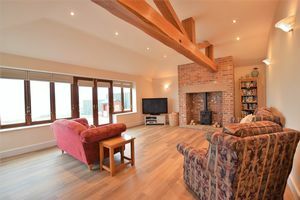 There are wall and base units with a granite work top surface, Belfast sink unit, a radiator, inset ceiling down lights and a door leading to the garden. There is a cupboard housing a the boiler. 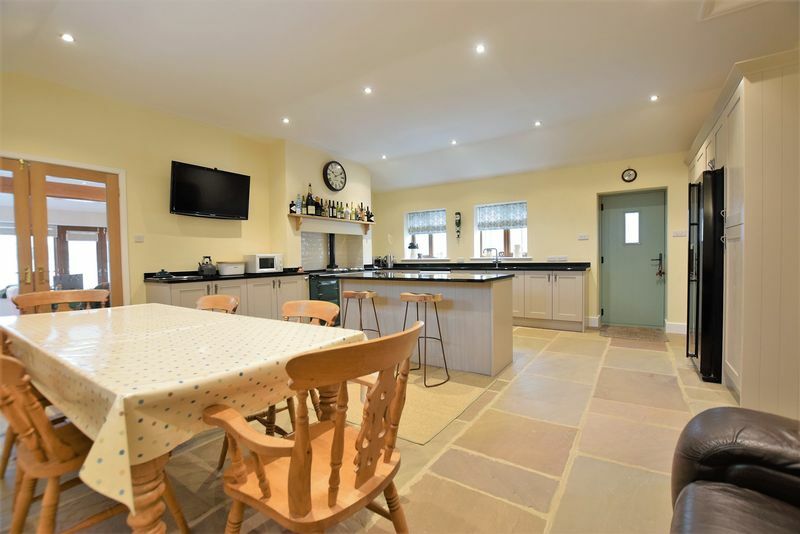 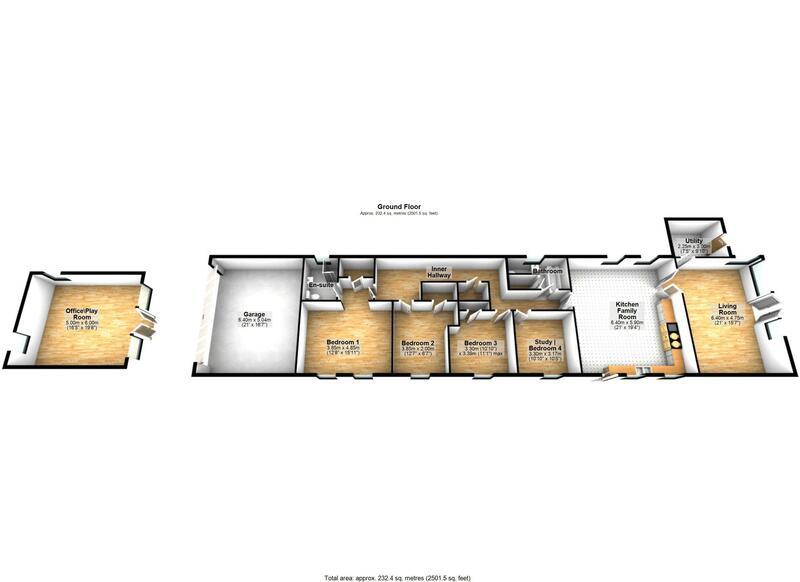 From the kitchen family room there are two steps leading up to this spacious inner hallway that has a generous width, a large storage cupboard off, ceiling lights and access to all bedrooms and bathrooms. 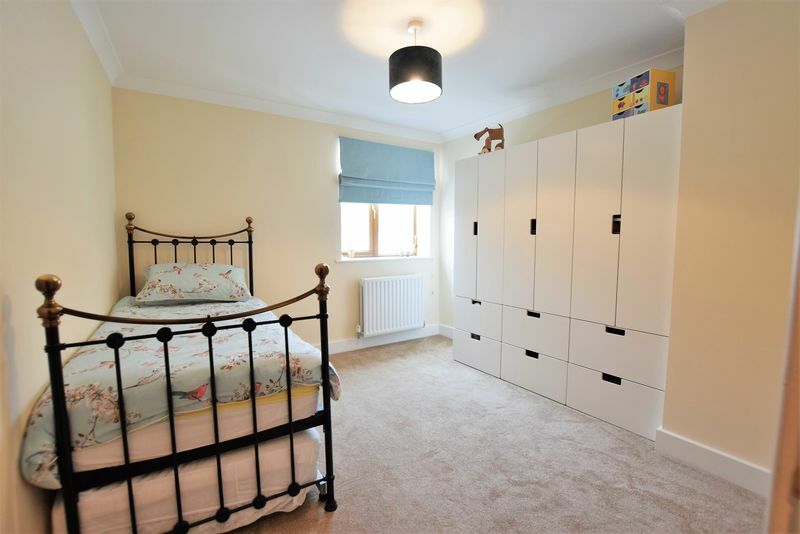 Upon entering this bedroom there is an immediate walkway with a large storage cupboard/wardrobe off and access to the en suite. 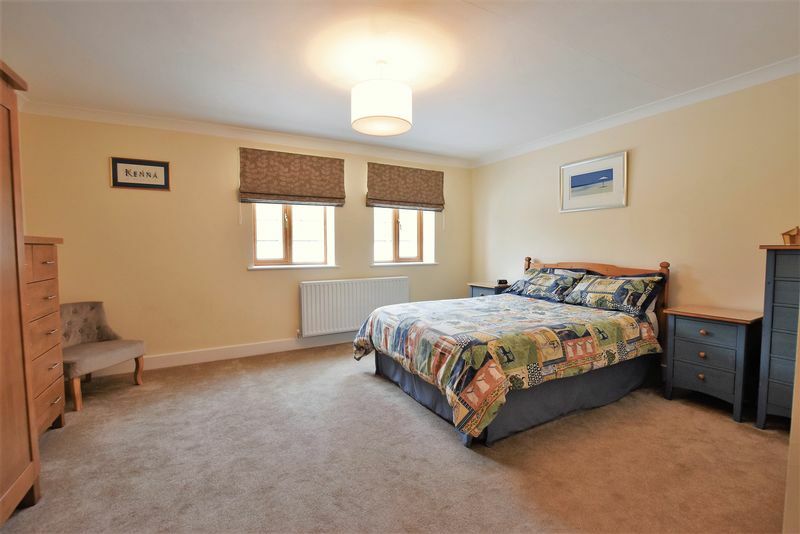 An opening leads to the bedroom where there are two double glazed windows to the side, a radiator and ceiling light. Appointed with a walk in shower cubicle, a vanity hand wash basin and a WC. 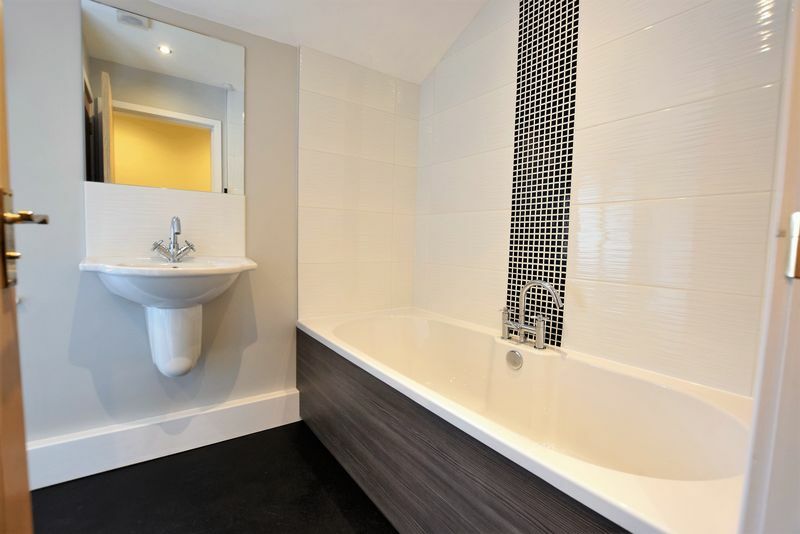 There is a heated towel rail, tiled flooring, double glazed window to the side and ceiling down lights. 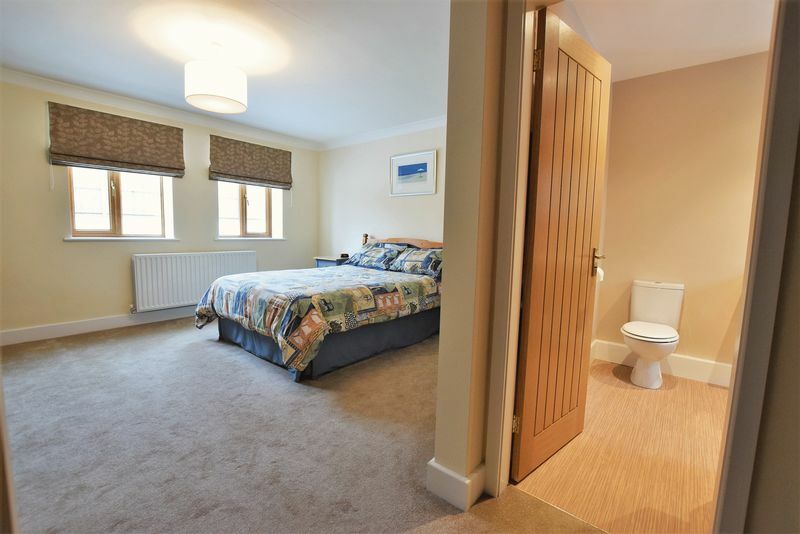 A double bedroom space having a double glazed window to the side aspect, a radiator, ceiling light and a large storage cupboard off. 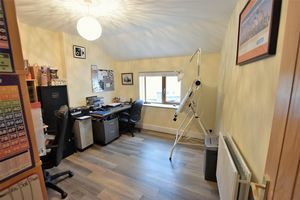 Having a double glazed window to the side, a radiator, ceiling light and a large storage cupboard off. 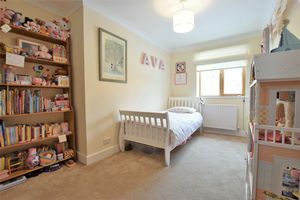 Currently used a study but available for a variety of uses, easily bedroom four if needed. 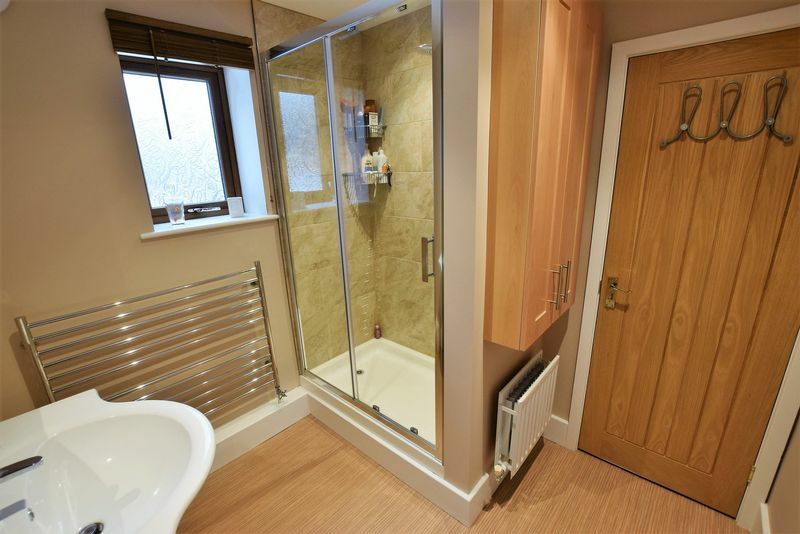 There is a double glazed window to the side, a ceiling light point and a radiator. Appointed with a modern suite in white comprising a bath with a shower over, wc and a hand wash basin. 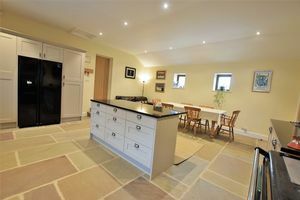 There is a double glazed window to the side, ceiling down lights and a useful storage cupboard off. 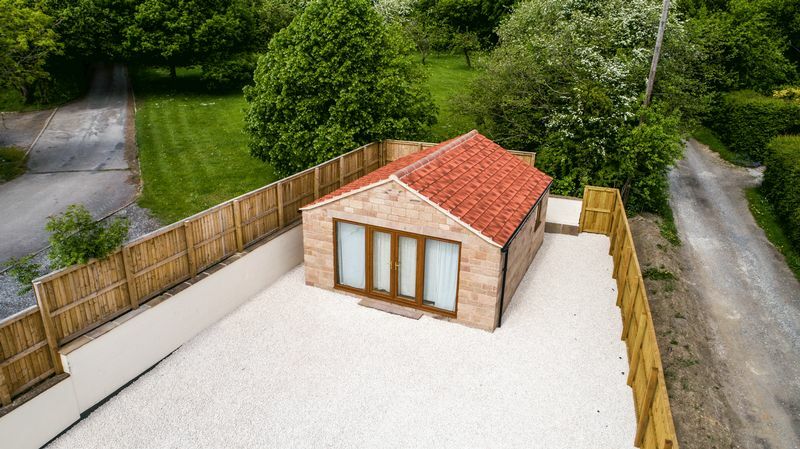 The property sits comfortably in the middle of the plot with a generous parking facility at one end and a fabulous garden space at the other. 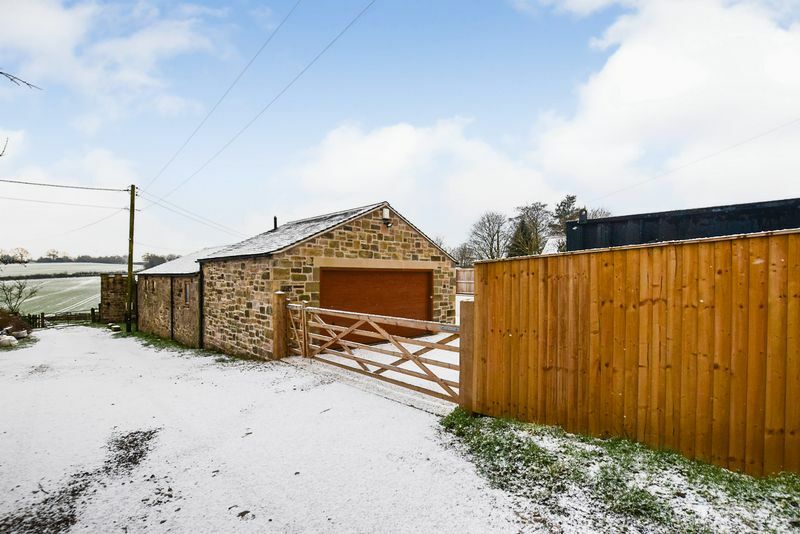 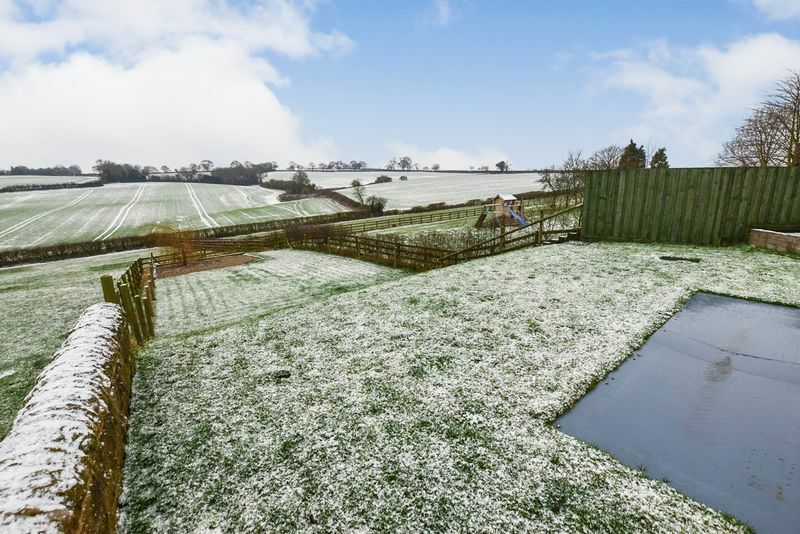 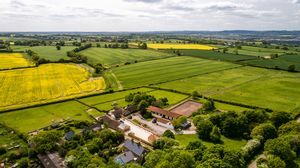 The plot is entered through a five bar timber gate and has a generous gravelled parking space which also leads to the garage and the work shop which is detached from the main property. Access along one side of the property leads to a large patio area and a sloping lawn that roll into the open countryside aspect. 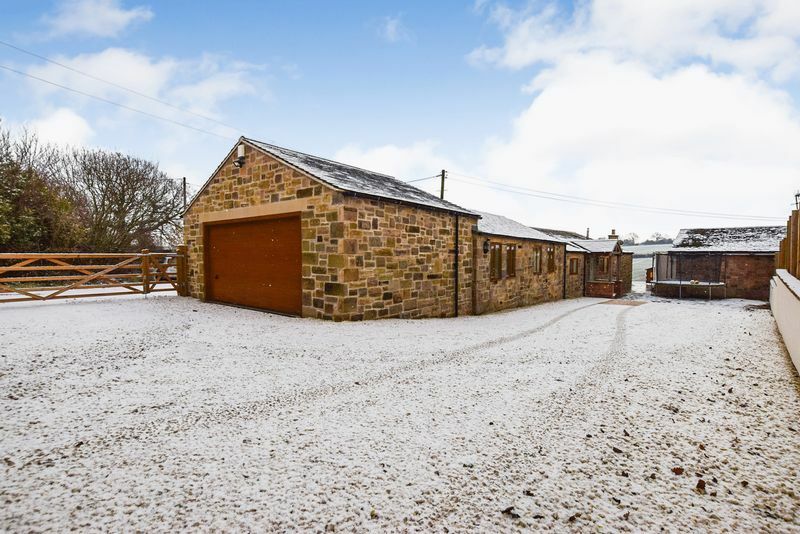 This double garage backs onto the main property and subject to necessary planning and building consents could be converted into additional living space if required or needed. It is currently serviced by an up and over door and has a power and lighting supply laid on. 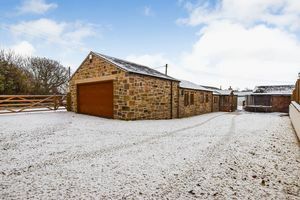 Detached from the main property this additional building could provide a variety of uses. 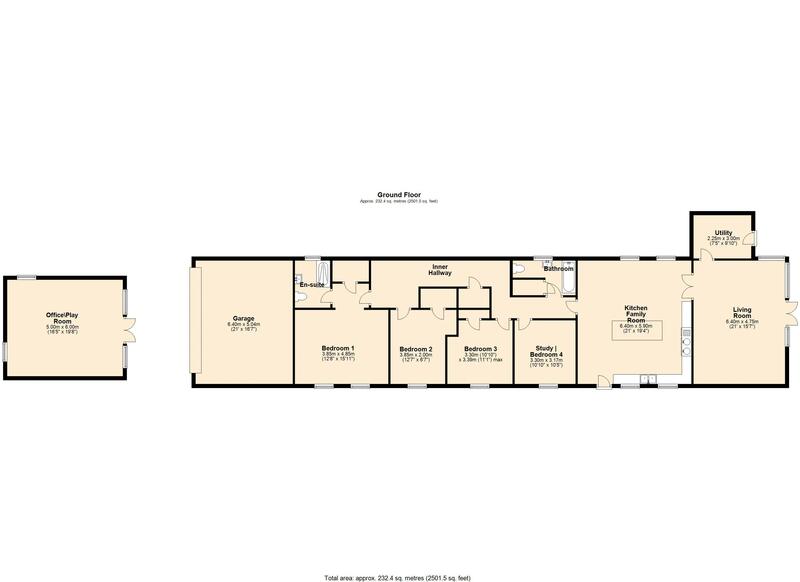 There is currently double glazed windows and patio door with electric and lighting supply laid on. 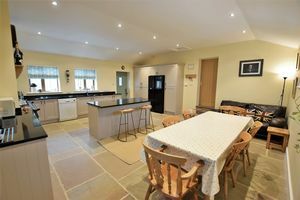 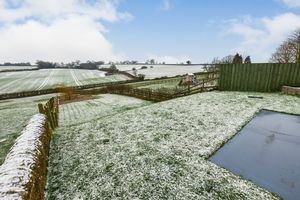 Being of a semi rural nature, the property does have oil fired central heating and a septic tank. 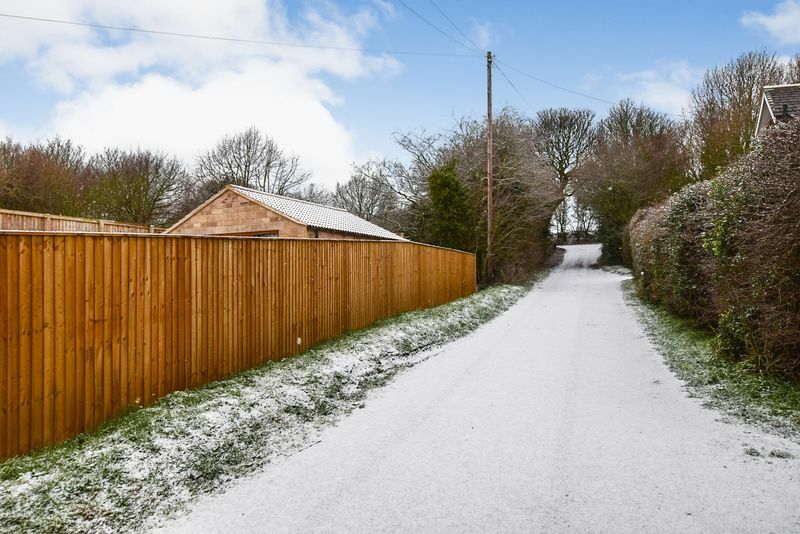 We are informed by the local authority that the council tax band is A.